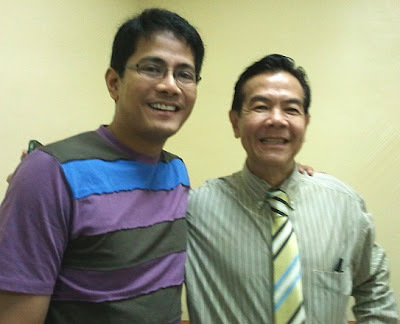 dr. jaime galvez-tan is undoubtedly a consummate healer and living legend in the field of health care. with such status, one would easily imagine doc jimmy high atop a lofty pedestal. but on the contrary, he makes himself accessible to everyone and generously shares the knowledge and wisdom he's gained through the years. just to give you a brief backgrounder about doc jimmy, he is the former secretary of the department of health and and served as chief of staff of the DOH from 1992-1994. he is a professor at the u.p. college of medicine and is the country's foremost proponent of integrative medicine. in his clinical practice, he integrates western medicine with traditional chinese medicine (tcm), indigenous filipino healing practices, and other established healing systems. doc jimmy is also a prolific writer as he has authored at least 40 published papers on health and medicine. 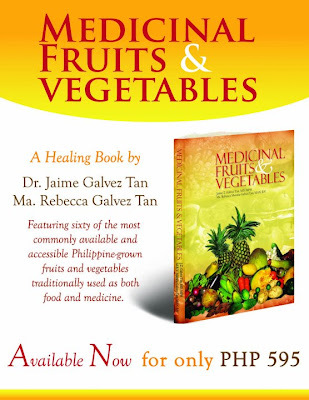 he has also co-written 6 books, the latest ones being "hilot: the filipino traditional massage (2006)" and "medicinal fruits and vegetables (2008)." he travels intensively around the world in his capacity as consultant to WHO, UNICEF, USAID, and many other organizations. doc jimmy is not one to keep his knowledge and wisdom to himself. in his attempt to widen his reach in helping people, he generously and tirelessly trains people to become holistic healers themselves. 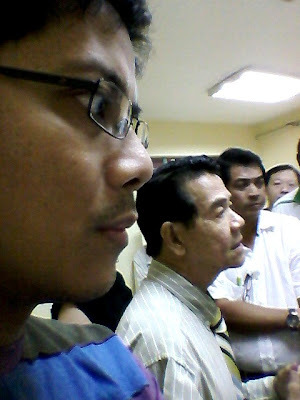 what inspires me most about dr. jaime galvez tan is his love for his students, his patients, and underprivileged people. after all, how can he not be well acquainted with the plight of the poor? he has done many long years of community work in the far-flung rural areas of the philippines which do not have any doctors. 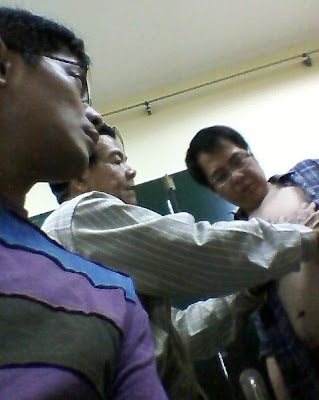 doc jimmy's compassion is contagious and we, his student healers, hope to continue his advocacies and noble work. here i am listening intently and learning all i can from doc jimmy's acupuncture and integrative medicine class. hi randy, this is very interesting. i am also a doctor and i want to learn on integrative medicine. please help me how to avail of dr galvez tan's training session. i am very interested on alternative medicine. is there any training institution in our country for this specialty? i hope you can help.